Maintaining a high level of fitness is one of the keys to a long and healthy life, and with the right tools and training, we can continue to get stronger and develop greater endurance. Your body needs new and diverse stimulation to continue to progress. Fortunately, finding and trying new exercises or activities to shock your muscles is part of the fun of staying in shape. One way of doing this is to increase the weight you use, change exercises frequently, and participate in sports or activities your body hasn't been previously conditioned to. Another method is to take traditional exercises and do them with 'odd objects.' Odd object lifting, such as sandbag lifting, is when the center of mass is not in balance throughout the lift. This forces the smaller supporting muscle groups, particularly the core musculature, to work harder. Because no lift is ever identical, the body is constantly stimulated. I've incorporated some items from the hardware store to use in my odd object lifting routines, and each time it brings an exciting element to my training. Some great odd objects to use for lifting and throwing include sandbags, boulders, and kettle bells. However, nothing could have prepared me for the challenge of the mace, also known as the gaza in India. -Galvanized steel pipe and caps, 1 1/2" around, 24" long, and filled with 7/8" gravel. This felt heavy, even at about 10 pounds, but to make it more difficult, I decided to add a five pound plate to one end. What a difference, however, what I had actually made was closer to a mace bell, and just like that, I had my new favorite exercise tool. -5' galvanized steel rod, 1" around, capped off at one end. -1 1" connector, threaded on both ends. With this I was able to thread the flanges and connecting pipe together, and slip an olympic plate between the flanges. To keep it from rattling, I cut some exercise mat foam and wrapped it in the gaps, but you could also add another weight plate. The first macebell was made with only a five pound weight at one end (plus the weight of the flanges and pipe,) and it was brutal. I thought I was strong, but this is an entirely different approach to resistance training. To see if this was just difficult because it was a new form of exercise, I added a 2.5 pound plate on top of the five. No, it's not just new, it's really difficult. Having the weight so far off on a lever creates a serious disadvantage. And it's hard to overcome. I know I'll be working with this weight for weeks before my muscles can adapt to the load. See the macebell in action below. Mix up your arm routine with these unusual exercises. 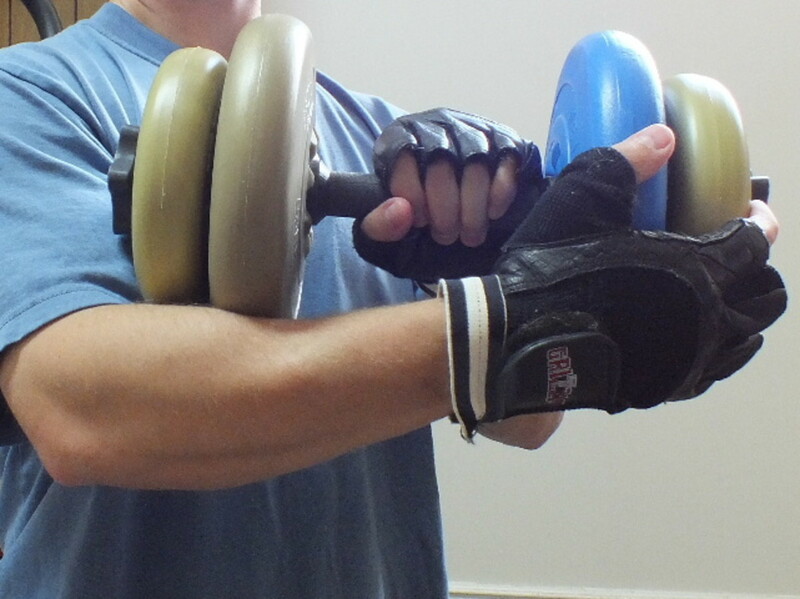 Guaranteed to bring a fresh challenge to bored biceps, wrist muscles and more. Spice up your chest routine and build up those pecs! Read on to see how a simple routine and homemade equipment is all you need to do it. There is more than one way to get a Thor-like body. Use these thor workout routines to build muscle and functional strength and endurance. Transform your body with a minimum of equipment. This hub shows you how! Shopping for kettle bells? Start here. AllYouNeedToKnow, you should! It's a lot of fun. Some really good stuff here. I'm going to have a go at making a Clubbell.